Turkish President Tayyip Erdogan addresses members of his ruling AK Party in Rize, Turkey August 11, 2018. Murat Kula/Presidential Palace/Handout via REUTERS ATTENTION EDITORS – THIS PICTURE WAS PROVIDED BY A THIRD PARTY. NO RESALES. NO ARCHIVE. ISTANBUL (Reuters) – Turkish President Tayyip Erdogan stood by his opposition to high interest rates on Sunday despite sharp falls in the currency, saying the lira’s weakness did not reflect the country’s economic realities. The Turkish lira has lost about 40 percent of its value this year, largely over worries about Erdogan’s influence over the economy, his repeated calls for lower interest rates in the face of high inflation, and worsening ties with the United States. His comments on interest rates — and his recent appointment of his son-in-law as finance minister — have heightened perceptions that the central bank is not independent. 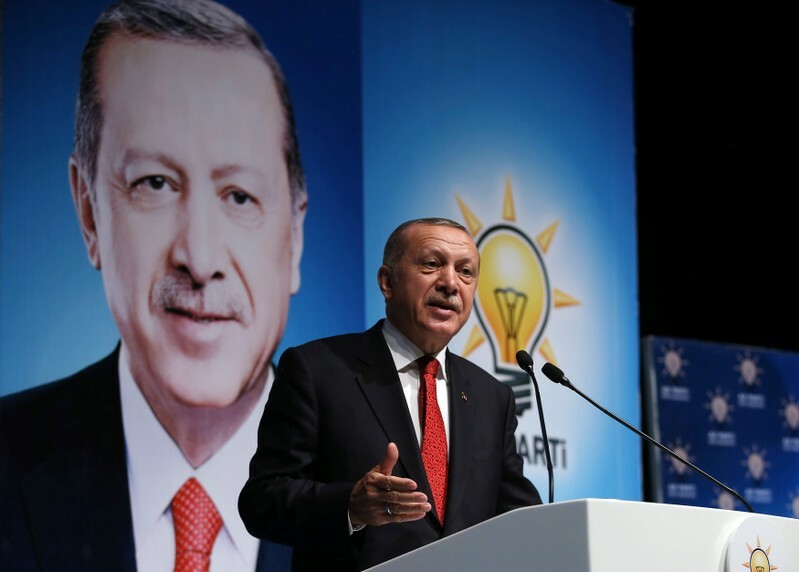 On Sunday, he said the lira’s free-fall was the result of a plot and did not reflect Turkey’s economic fundamentals. “What is the reason for all this storm in a tea cup? There is no economic reason for this … This is called carrying out an operation against Turkey,” he said. Erdogan’s remarks also knocked back investors’ expectations of a rate hike from the central bank. Turkey’s spat with the United States has further weighed on the lira. The two NATO allies have been at odds over a wide range of issues: diverging interests in Syria, Ankara’s ambition to buy Russian defense systems, and more recently the case of Andrew Brunson, an evangelical pastor on trial in Turkey. Washington in response sanctioned two Turkish ministers, and Trump on Friday announced the United States was doubling tariffs on steel and aluminum imports from Turkey, saying relations with Ankara were “not good at this time”. 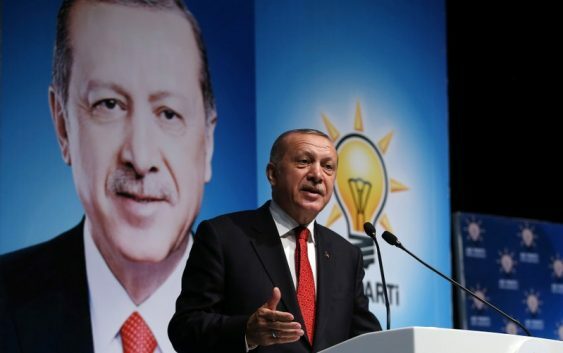 “Our response to those who wage a trade war against the whole world and include our country in that would be heading towards new markets and new alliances,” Erdogan said. “If we did not release him, they said they would sanction us… What happened? Immediately, we have imposed the same sanctions on their ministers,” Erdogan said.